The key values of the Open Society – freedom, justice, tolerance, democracy and respect for knowledge – are increasingly under threat in today's world. As an effort to uphold those values, this volume brings together some of the key political, social and economic thinkers of our time to re-examine the Open Society closely in terms of its history, its achievements and failures, and its future prospects. 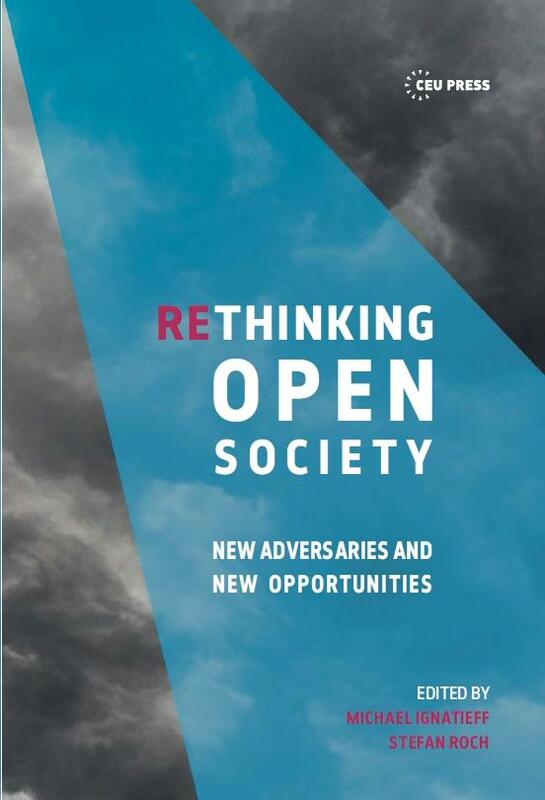 Based on the lecture series Rethinking Open Society, which took place between 2017 and 2018 at the Central European University, the volume is deeply embedded in the history and purpose of CEU, its Open Society mission, and its belief in educating sceptical but passionate citizens. This volume aims to inspire students, researchers and citizens around the world to critically engage with Open Society values and to defend them wherever they are at risk. You may order the book via CEU Press. For further information please contact CEU Press. Read David Runciman's review in The Times Literary Supplement.